We're thrilled to introduce Emily, one of the newest members of the Barreworks team! 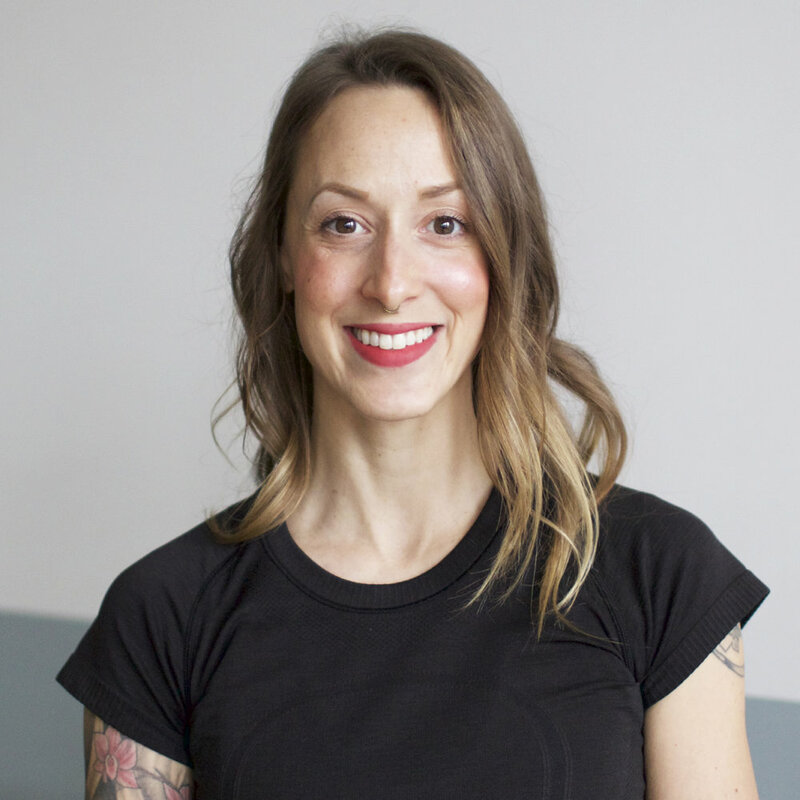 With a solid foundation in yoga, dance and barre, Emily brings a playful, mindful, and creative energy to her classes. She seeks to help others find their hidden potential and feel both rejuvenated and happy every time they leave the studio. We can’t wait for you to try out her class! Keep reading to learn more. Pre-workout food? Smoothies of all kinds. Aprés-workout food? Smoothies again. Or a big salad. Workout gear? Yoga pants and crop tops. 3 favourite ways to sweat? Barre, yoga, aerial hoop. Travel destination? Bali/India are my dream destinations. Fave way to relax? Yoga and stretching. Fave song on your current playlist? Too many to list. Take Mixed Level with Emily on Tuesday mornings at 6:00am at Barreworks Yonge! What made you decide you wanted to teach at Barreworks? I was introduced to Barreworks through a coworker, Tricia, who I've known for several years now. I had no idea I'd end up getting my certification, but I instantly fell in love with the energy and environment and I knew I wanted to be part of it. What do you love most about teaching? The connection I make with my students. Making others feel great about themselves is a wonderful gift, and watching their progress is the best part of my job. What keeps you motivated/feeling positive on days when your body feels tired and your energy is low? I focus on self care, rest and learning something new. I believe finding balance (especially when foreseeing longer days), is important in this work. So resting when I have the time, as well as educating myself and taking classes makes all the difference. How do you want your students to feel when they leave your classes? How do you help them achieve that? I want my students to feel accomplished and uplifted when they leave. I make sure to give as much equal individual attention as I can and share my passion with them to keep them motivated. I always let my enthusiasm shine through, while encouraging my students to keep going when they feel challenged. What would you say is your greatest strength as an instructor/how will this positively impact your students? I believe cueing/timing and attention to detail is extremely important when instructing a class. I am constantly tweaking and looking for new ways to use my vocabulary and keep my classes as fluid and seamless as possible. What were your favourite moments of the Barre Certified by Barreworks program? Getting to know all the instructors and learning lots of wonderful tricks and techniques to improve my teaching. I am fascinated with anatomy and biomechanics as well as all the different alignment cues. So having that information and guidance was always very inspiring. What would you say to people trying Barreworks for the first time? I would tell anyone that this is definitely a workout for every BODY, every LEVEL and every AGE! It is definitely challenging, but it is also much fun! The music keeps you going, you break a good sweat, and it's so safe that you leave feeling strong and ready for more!